Pay the domain owner (squatter) crazy amounts of money to buy it from them. Go for a geographical TLD like .in or .co.in. The below story is how we fought our .com obsession, and not only adopted newer TLD like xyz but also outranked .com domains. The first thing you need to step in the Digital World is a website, where you can land your users. And obviously, a unique domain name is needed for users to remember and visit your website. A lot of times what happens is the domain with the .com variation you want to buy is already taken and you are left with the option to go ahead with some other name or compromise with your TLD (Top Level Domain). But do you know xyz as a TLD exists? A lot of Webmaster and business owners are hesitant to try a new TLD because of a lot of reasons. One of the major is: SEO of the website depends on a lot of factors and your domain name is one of them and that’s the reason webmasters are scared to invest in it. Before we get started let’s introduce you to the person who was responsible for the emergence of xyz domain in the year 2014. Daniel Negari is the CEO of XYZ registry and one of the youngest registry operators in the world when asked about his view on xyz TLD and why it should exist? He told, “you end the alphabet with X, Y, Z, why not end domain names the same way?”. Like you are not getting a domain with a .com TLD just because it’s on auction which indirectly impacts the freedom to use the internet for this reason xyz TLD came into the existence ..!! You may also see big brands launching on xyz. eg. MIT (Engine.xyz), the co-founders of Skype (Starship.xyz), etc. You can check out a full list of xyz domain live around the globe here. 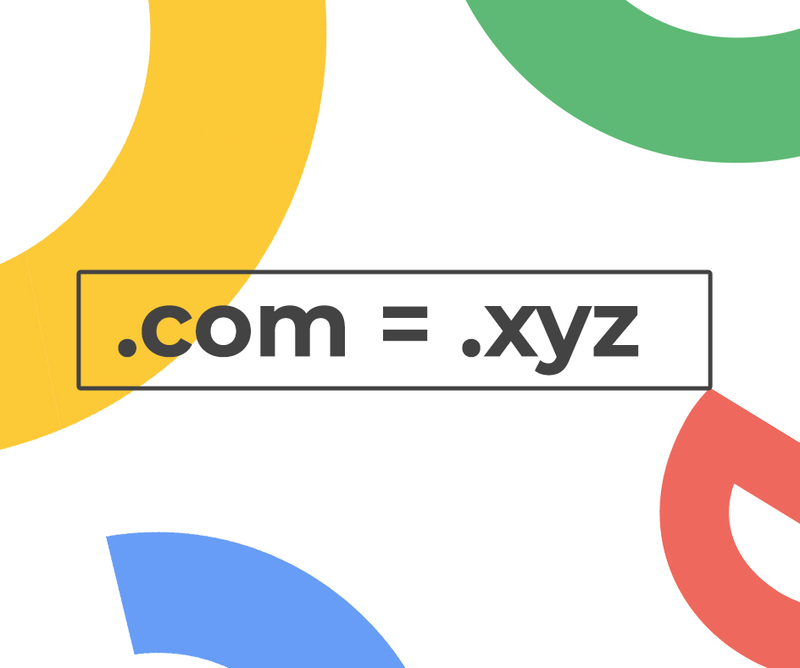 Do you know how many websites in the world use a xyz TLD? This implies the use of the xyz TLD is going upwards. In fact, Google itself chose this domain for their parent company Alphabet Inc. But the good bit is Moz has now updated their OSE to Link Explorer Tool, it now recognises most of the TLDs. Do TLD matters to Google? For SEO’s even a hint of a ranking factor can make or break the deal for them. The most commonly used TLD in the world is .com with a 46% stake. There was a time when Google used to consider .com as the preferred TLD for ranking websites in their search engine. But the story has changed completely now. Google has officially mentioned a number of times that TLD doesn’t matter and they crawl almost all the TLDs that are present in the current system. In 2015 John Mueller wrote this blog on How Google processes all the new TLDs in search rankings. 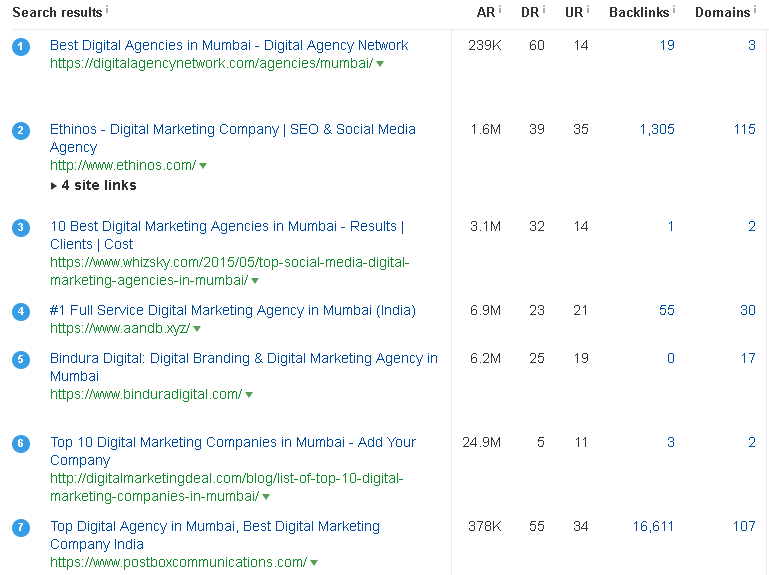 Actionable Steps we took to rank www.aandb.xyz ahead of other .com domains. The first thing we started with the work for our website was page speed improvement. Though page speed is officially a ranking factor in mobile searches, we emphasised on this point since 2016 and knew very well that the speed of a website impacts rankings in search engines to an extent. 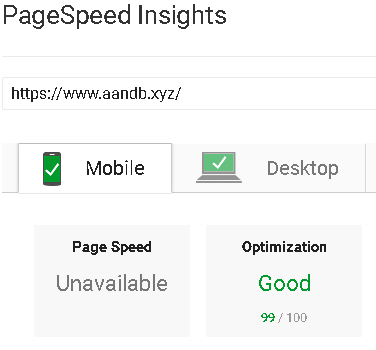 We used PSI Tool to work on the website speed and we had a goal in common with the dev team that the optimisation score should be at least in 90’s out of 100. 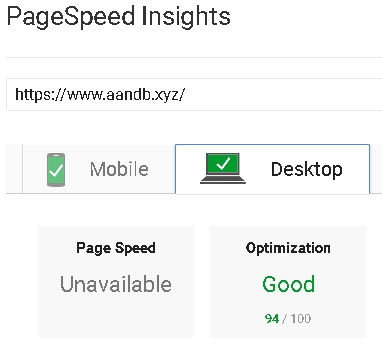 The result: we improved and optimised the load time of all the pages on our website with a minimum score of 90. We worked a lot on revamping our website design as the older version was not that good and interactive. so we planned for a new version of A&B. Started with including an attractive video in the first fold which includes what we are, what we do and our office space. See how kick it is here. Our website was just a static one earlier, during this revamp we designed & created all the internal pages. We added the call to actions on proper places on the page to ease the navigation for the users. 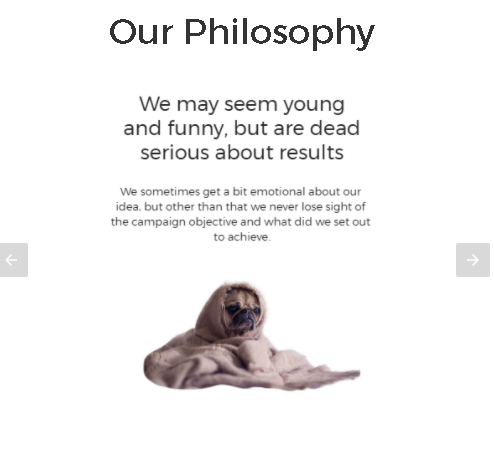 We also launched our blog and created a page for case studies so that more content can be added on the website as it is visually very appealing but the room for content is less on services and home page. The alignment of the folds on our webpage was done keeping in mind the user and mobile accessibility. After the process of revamping, we managed to achieve a better user experience as compared to what we had earlier. As a result of the revamping process, we observed an increase in the Dwell time which is the time spent by the user on a website. 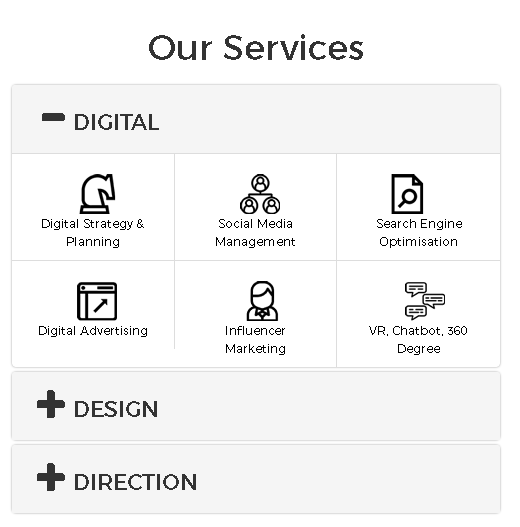 Adding some interesting videos, images or anything which is related to your services and make the website more informative (level of information matters whether it’s for the home page, service page or any other page). Accordingly, we managed to frame the content, video, and image to create a better user interaction. Backlinks are consistently one of the most important ranking factors for the search engines and also one of the hardest things to do in SEO. Our strategy for creating backlinks to our website was simple. It included guest blogging, content marketing for our blog articles and one benefit we had was we got links from the footer of the website which we had designed and developed. 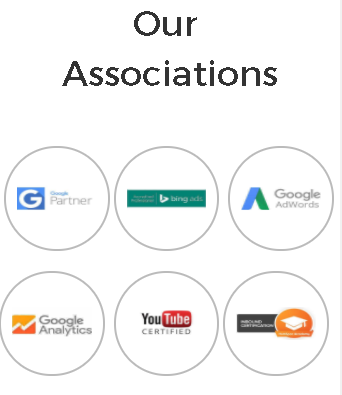 As we are in the agency business a lot of agencies shut down in a year and we found some similar agencies which were closed permanently and had broken links coming from high authority websites. We did reach out to them and managed to get to some links. Our main focus in this area was to build High-Quality backlinks instead of low-quality quantitative links. 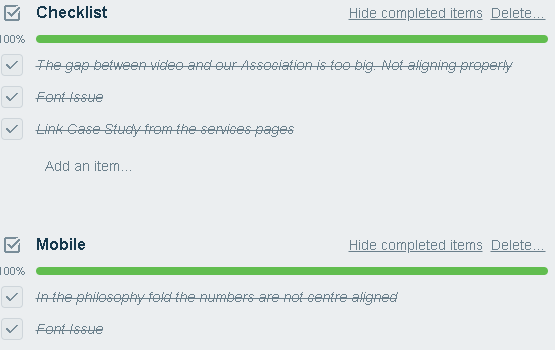 The result: we managed to outrank domains with more backlinks and referring domain than us. We approached the right websites that actually linked back to us. CRO (Conversion Rate Optimization) is the mechanism of increasing the conversions on a website with the current set of visitors by doing A/B tests, improving UI, UX issues, fixing and resolving bugs, etc. The ultimate goal of any business is to increase revenue, One side where SEO, PPC, social and other channels bring traffic to the website, on the other hand, CRO helps to convert the potential traffic into customers. The best way to start is to get in your customer shoes and see how they are experiencing the website. A lot of tools like Hotjar, Yandex Metrica, Crazyegg etc all can help you to analyse and track user behaviours. 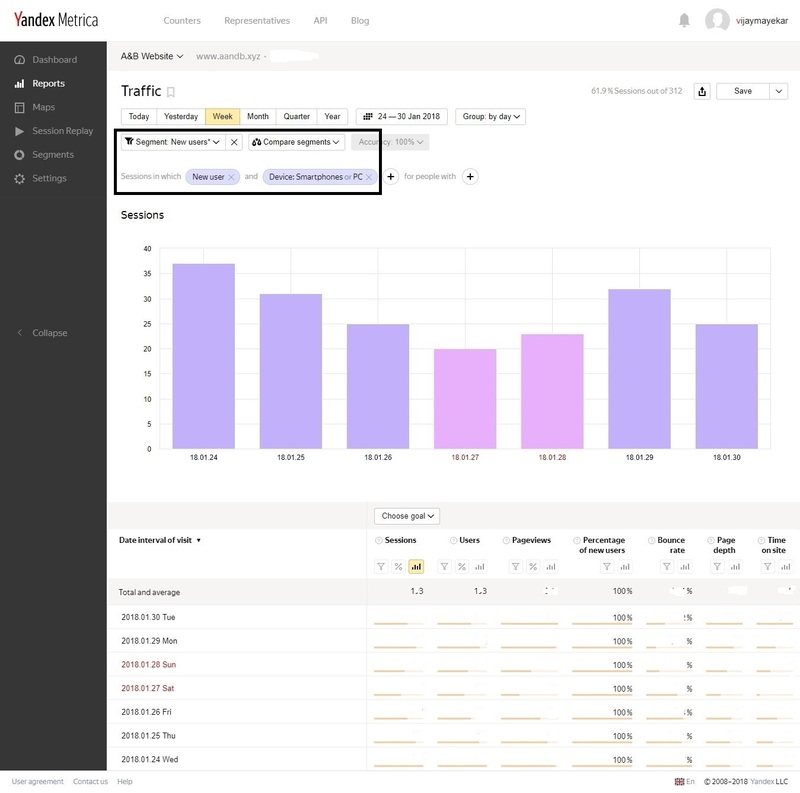 We personally used Hotjar and Yandex Metrica and started to look for any blockage that would hurt our conversions. 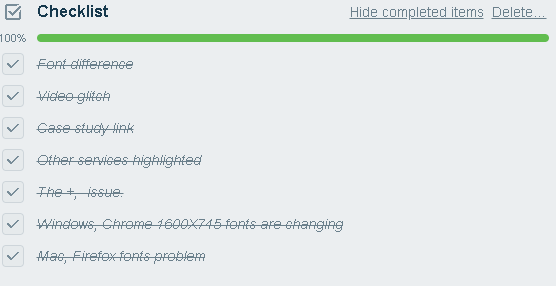 Below is the list of bugs which we found on our website and got it fixed. To our surprise, we found that the fonts we used were looking different in chrome, safari, and firefox which was causing a readability issue. There was a glitch in the video on our home page and similar bugs. We also made a few UI changes for a better mobile experience. All this helped us to improve the user experience and directly improving our conversion rate. The Result: Our Website started to rank ahead of a lot of .com domains. The result of all these efforts? We are still ranking ahead of the .com, .in domains and most commonly used TLDs domains. We are ranking on the first page for most of our targeted keywords and not only ranking locally but also for some keywords in the UK. We were getting leads from London because our website mentions the address of our London Office. Code – Keep your code clean, and website accessible to search engines. Content – keep your users in the first place and develop content keeping them in mind. Performance – focus on speed and make sure everything loads under 3-5 seconds. Links – Create High Quality, contextual links to your website. Do your normal SEO, definitely, Google will reward you with high rankings and don’t stress about your TLD. How to measure your SEO success? 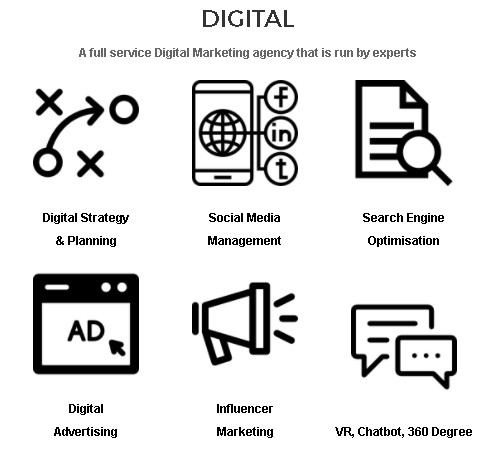 Digital penetration has already crossed 50% and with giant techs like Google, Facebook trying to penetrate Internet to far reaches of the world, this means business is going to be entirely digital within few years down the line. That means a significant number of customers would be looking for your product on the search engines where you have to appear to be able to sell. Currently, the competition to be seen visible is very hard in the search engine and coming to the top position of the result is even harder. Reaching to the top position in a search engine for your targeted keywords is a gradual process, and it takes months time to plan and execute. SEO is a time-consuming process and one of the hardest marketing channel to measure. The cost of SEO for your website depends on a lot of factor including market competition, keywords, website structure, links, etc. But how do you know, if the monthly dollars you are spending on SEO is giving you the desired ROI? Is your SEO strategy giving you any success? How do you plan to measure it? Compared to other marketing channels, SEO doesn’t give instant results. Either you are on the first page or nothing. Even if you will rank on the 2nd page you will not get much traffic because 89% of the users don’t go beyond the first page. But is SEO just about rankings and traffic? What are the other ways to measure your SEO success? Well…! A lot of webmaster measures SEO success in a wrong way. Submitting 200+ spam directories in a month, blog commenting, targeting very specific keywords for a page, creating a lot of duplicate pages, etc. are some of the strategies which Google advice not to use. If you are measuring any of these tactics and taking it for improvement then you should stop right now and measure these metrics instead. In today’s article, we will discuss what significant factors are important to measure your SEO success. The main goal of a business is to get marketing qualified leads for their business. These leads then convert into customers if they get the information they are looking for on the website. When it comes to SEO, one of the main things that matter is how many leads have you generated for your clients? And yes, mentioning the number of leads generated in your monthly reports will help you to show value to your clients. So, how to track leads metrics? You need to create goals in your Google Analytics account, to track your lead count. Check out this article on how to get the most out of Google Analytics for Lead Generation. If you have already created the goal in Google Analytics, you can find the organic goal conversion under Acquisition > All Traffic > Channel. Your SEO strategy will be pointless if it doesn’t bring quality traffic to your website. Traffic is the best way to understand your audience. But as we all know, organic traffic is not going to increase unless you are ranking on the 1st page. When you do SEO for a website, the overall user experience of the website improves including speed, UI, content, etc. All these improvements will also reflect in Analytics with better metrics. Increase in Organic Sessions – A session is the period of time a user is actively engaged with your website, app, etc. Increase in the number of organic sessions directly implies the increase in traffic to the website. The other way to measure the quality of your traffic is through metrics like Pages / Sessions, Avg. Session Duration, Page Views, and Bounce Rate. It will help you to measure the quality of your traffic. Increase in Pages / Session – Also known as (Average Page Depth) is the average number of pages viewed during a session. This metric is one of the best ways to know how much content a user is consuming after landing on your website. The average number of the page a user visits in a session implies how well the website is structured. Increase in Avg. Session Duration – This is a very important metric to track. The average time spent on your website by a user signifies how much they like the website. Rank brain which is the third most important ranking factor in Google considers dwell time as one of the major rankings signals. The amount of time spent on your website after landing from Google gives them the signal about relevancy, content depth, and user satisfaction! If you have a very low time spent, then start adding fresh and engaging content which will help you to hook the user for a long time. Increase in Page Views – Average page views are the number of pages visited by a user in a single session. An increase in this metric implies that users are navigating and exploring to other pages of the website. A decrease in Bounce Rate – The percentage of sessions in which there was no interaction with the page. In other words, if a user closes that page without clicking or interacting with anything then its a bounced visitor. Pro Tip: Usually higher bounce rate % indicates that your website is not providing valuable content to the user. That is partially true because a recent article states that if you have a high bounce rate for content-rich websites then it is nothing worry unless your time spent is excellent. To put it in simple context, If your article has all the information and it fulfills the user’s intent then the user is not likely to click on any other page. But this metric should only be considered valid if you have excellent time spent. These metrics will help you understand the quality of your website traffic. And yes, monitor your traffic channel source. In that way, you get a fair bit of idea which source is giving you good traffic. So under Acquisition > All Traffic > Channel, you will get different traffic channel grouping along with Volume and Quality. Who doesn’t want to rank at Google’s first page? Website developers and SEO team spend most of the time making sure each page are well optimized and will leave no stone unturned. For people who just started their small businesses with little or no existing web presence, reaching the top of the search rankings will not happen overnight. That’s the reality! You can’t do anything about it. How to exactly check your average rankings improvements? 2) Create an excel sheet and plot all the keywords data in that. Make sure to plot all the rankings on a month on month basis. =column x – column y. Similarly drag this formula for each month’s keyword positions you have. Current month’s difference divided by previous months total multiplied by 100. You can track keyword based rankings manually each month and calculate its average position based on the estimated results you acquired or else you can use paid tools which can give you a faster result. It will help you get a percentage idea of how much increase or decrease of keyword rankings you had over the few months. Note:- Remember, when you launch the website, the keyword rankings usually start at a position value of above 100 i.e. 10th page or more in google search engine. Google Analytics is purely data-rich, and if you understand how to harness the power of this rich data-source tool, it will give you every valuable information you need. For every business, the primary goal is about getting more and more new visitors to their website who will probably end up being your customer. Google Analytics, elevated this factor and started giving fantastic insight about visitor information, the behaviour pattern, demographics (age, gender, location) and many more. New visitor navigates your site for the first time on a specific device whereas returning visitors have already visited your site before. Pro Tip: We all know this basic understanding but lot of user gets confused with this. What if you visit a website from your desktop at work or home, and then revisit the same website again from your mobile device? Will it be counted as one user or two new users? Previously google analytics would record it as two new users but now they have made significant changes by improving the way it tracks data. So now if you’re logged onto your Google account from all the devices(work, home, mobile) and repeats the same process above, you would be recorded as a New Visitor on your desktop, and a returning Visitor on your mobile device. 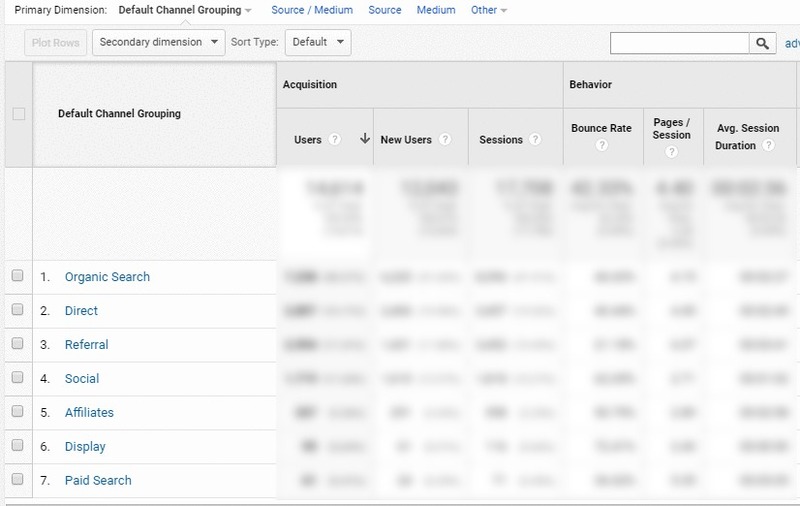 To check new visitors and returning visitors report in Google Analytics, click on Audience > Behavior > New vs Returning. 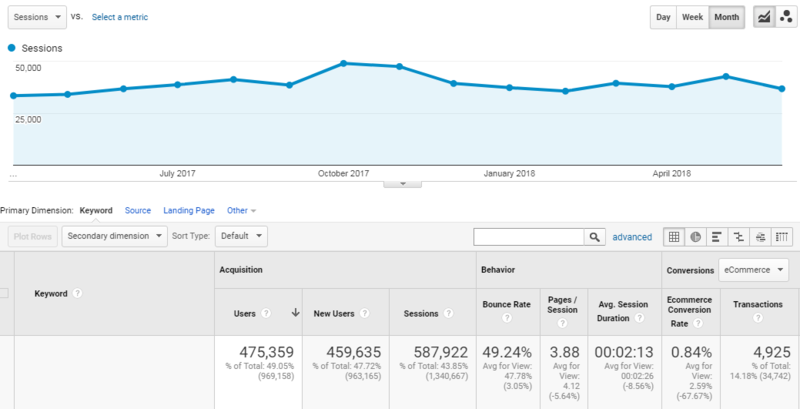 Google Analytics report on New Visitors will help you measure your success rate as new visitors usually lands through search engine(ads or organic). If you know one of your keyword climbed to the 1st page you will see an increase in the new users data because of the organic discovery. Wait, what? How can impression be considered in measuring SEO success? Most even we tend to neglect because Clicks, Click Through Rate (CTR), Position are given more priority. But make no mistake, an impression is critically important because it gives you a clear indication of how your website is performing in search engine result pages when a user is searching. It gives an estimated idea how many impression you are getting in comparison with Clicks, CTR, Position. When a user searches something in the search engine all the results that appears for it are counted as impressions. So for example, if a user searches for a keyword: “Content Marketing” the 10 organic results that will appear on the first page are all counted as impressions. Usually user clicks on 1-2 results, so those websites(which got clicked) will get the count of impressions + clicks and others will get the impression count. It’s one of the ways to analyze how web users interact with your search engine listings. You can assess your listing per impression at different search result page position. So based on impression data, you can get a fair estimate idea how your much your website will be growing organically in the coming days. In other words, if you are ranking on the first page on 8th position so you will get a lot of impressions but less clicks which means once your website starts to climb positions you will have increased organic traffic. Similarly if you see a sharp decline in your impressions it means something is terribly wrong with the website. It could be a penalty, a server error, redirects errors, or simply the website could be down! 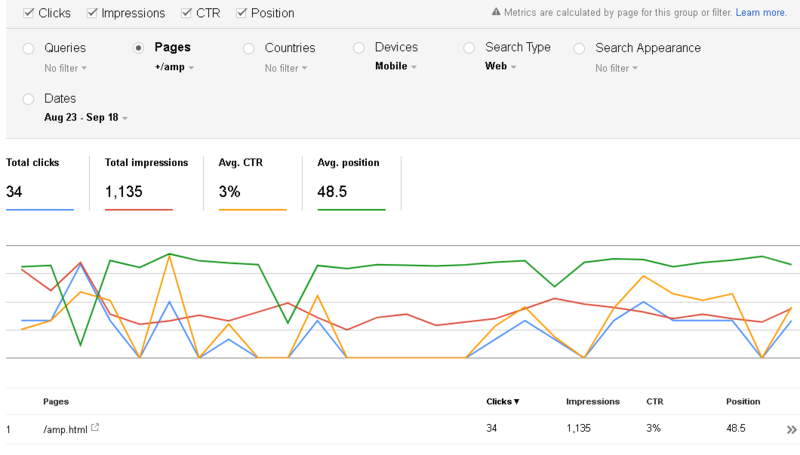 Google has released a detailed report document on Impressions, Positions and Clicks in the Search Analytics Report of Google Search Console. Google Analytics is a powerful tool that helps you understand how your website is performing and gives you all the data insight you need. Most often, we care about the primary conversion goals (which in other words is termed as macro conversion) because that’s the results which matter to everyone. But are you measuring those little steps on your website which leads to macro conversions? Those small actions that users take on your site is called as micro conversions. If you are not measuring, then you’re probably not using the full extent of behavioural data. Micro conversions help to measure how visitors are engaging with your website before making any purchase. No visitor will directly purchase something; they tend to browse first to see what your site has to offer. There is a slight difference however between goal conversion and micro conversion? Then, What can be measured in micro conversions? Download files such as PDF, brochure, ebook, white paper etc. If visitors are viewing specific articles before sharing them on social media, if they sign up for the monthly newsletter or downloading specific files, all this helps to increase awareness of your brand plus they’re showing a keen interest which may lead directly to a sale soon. It also helps us to see if our website is compelling enough to engage the audience. How to set up goal conversion? 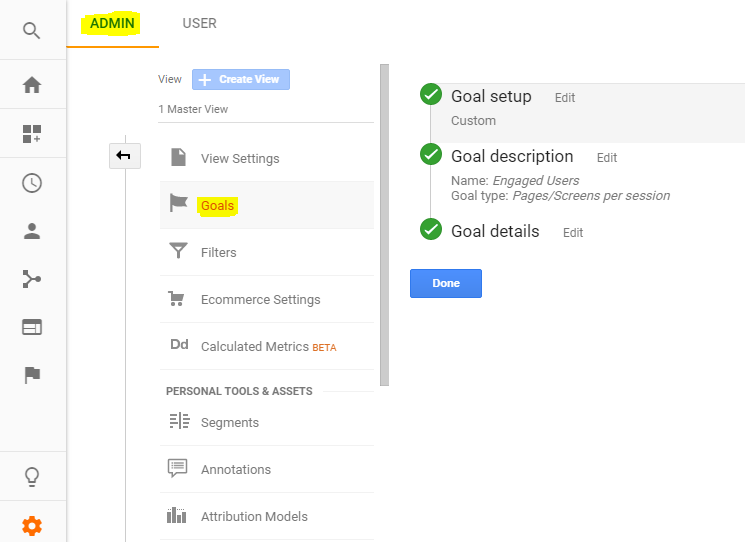 Using google analytics, you can set ‘goal’ to measure your goal conversions. Click on Admin Tab > Under View property > Click on Goals. You can configure goal setup, description and details under this section to measure your goal conversions. To see the report, Click on conversion > Goals, and it will tell you how many goal conversions occurred on your website. How to set up micro conversion? This one is slightly different from goal conversion, as you need to put event tracking code in your website code. You might be wondering hold on, what the hell is this event tracking code now? 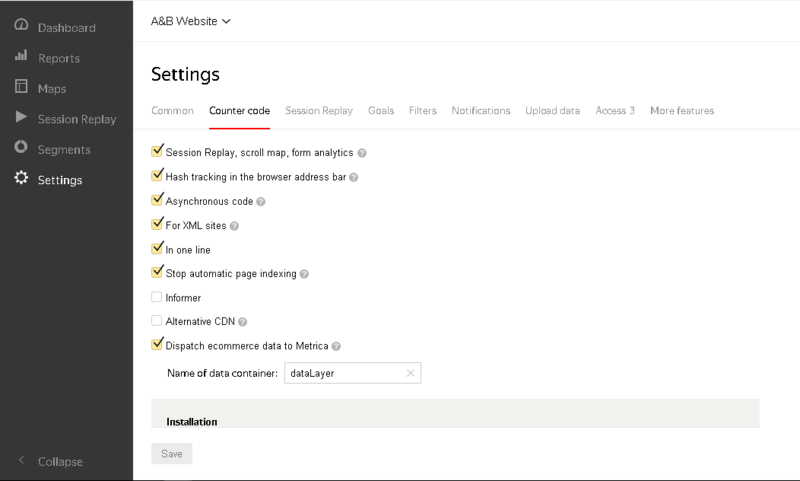 Is google analytics tracking code not enough? Event tracking is slightly different from the Goal Conversion setup. Google has published a small guide on how to implement event tracking code to your website. Once your web developers execute the code on the website. You can track any events you have set. Micro-conversion will help you measure your SEO success, as you get a more in-depth analysis of how many users are viewing your specific content. This will help you further to serve your audience with the right material. To measure your SEO success, backlinks are by far one of the most critical factors, as they help website rank within the search engines. Usually links act as a vote of trust mainly because they pass “link equity” from one website to another which helps the other website to rank better. It’s also referred to as “inbound links”. Sometimes, high-quality sites with a lot of traffic can link to your site, but even if you get a nofollow-link which might not help you in ranking, it will boost your traffic source. Hence high-quality backlinks with nofollow-link attribute also pays a dividend, so it’s worth the effort. Just keep producing high-quality content, i.e. via content text, video, infographics, blogs, case studies, articles and promote your content at the same time. Let your backlinks develop naturally & remember, Google loves quality and relevancy. 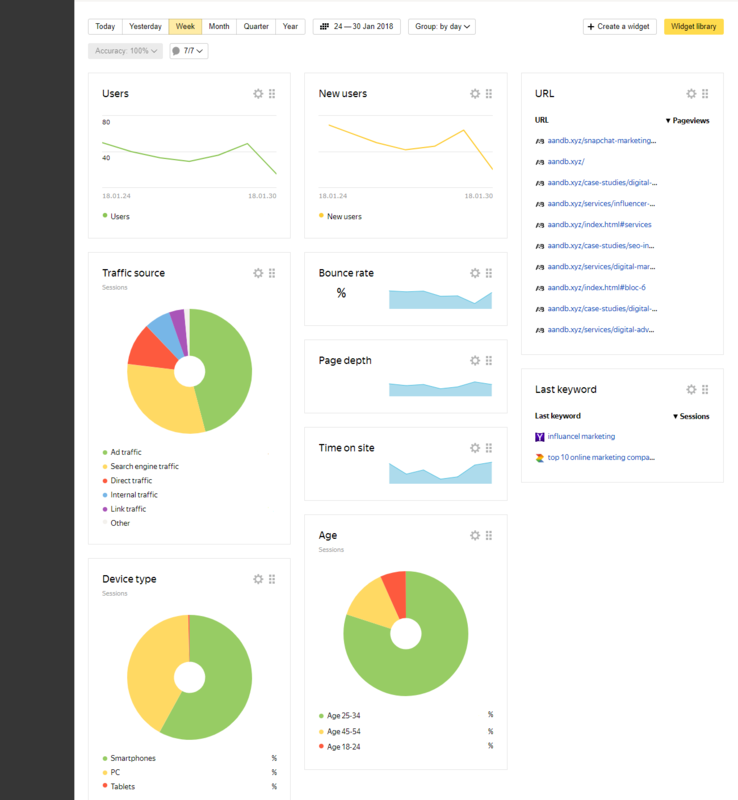 How to track referral traffic? Page load time is a major factor in search rankings but often overlooked mainly because many SEO’s tend to focus their attention primarily on content and link. But from a user perspective, if the website loads up slowly (i.e. if it is taking more than 3 seconds to load), you are potentially losing valuable customers. That’s one of the main reasons why optimizing page load time is very crucial. A faster-optimized website will give you a better conversion rate & will boost your sales revenue which is ultimately the business goal for each firm. Though the company will benefit from sales revenue, the real impact it will create is customer experience. The cycle is simple: A happy visitor > Converts into a happy customer > Will share the experience with others > They will come back as returning visitors. This creates a big positive impact on your sales & marketing funnel. 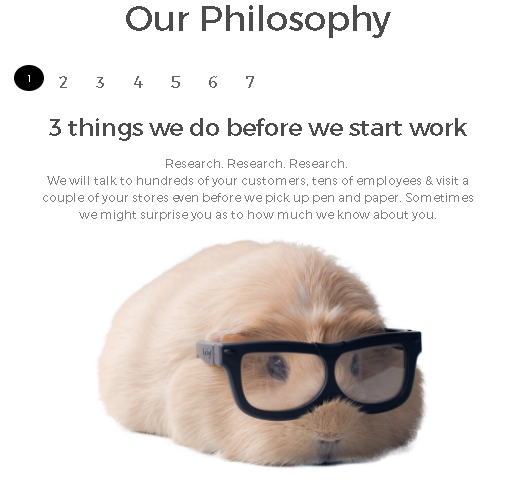 So how to identify slow loading pages and its direct impact on conversion rates? In Google Analytics, to measure page load times navigate to Behavior > Site Speed > Page Timings. After filtering down and adding a secondary dimension, you can analyze which pages are having load issues and then generate the report. Based on the report, developers will make all the necessary changes to optimize the website. 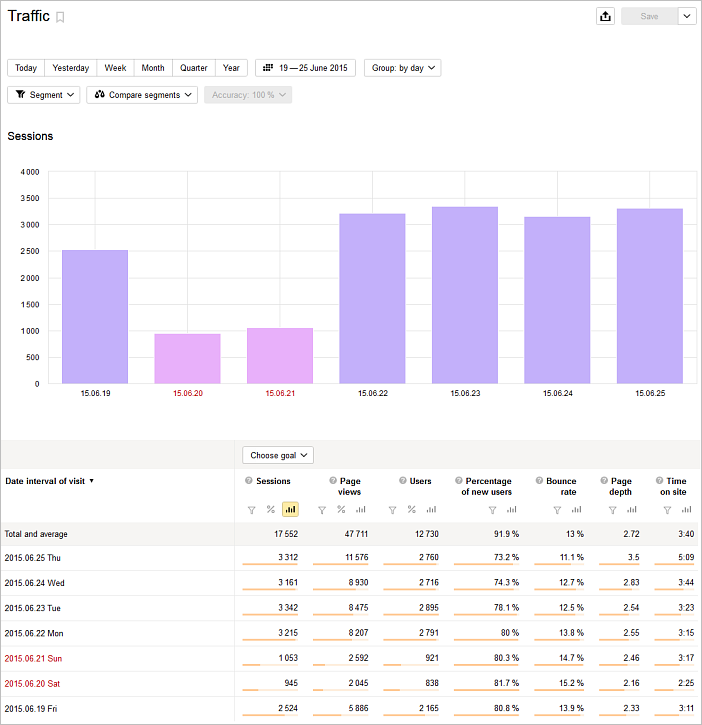 Once page load times have been optimized, generate a new report and compare it to the old report to see if any difference in search traffic and conversion. Are you losing out on conversions and sales due to a slow loading website? Hubspot posted a video on why website speed matters. Therefore remember, measuring your results is crucial for any SEO campaign success. Let us know in the comments below, if we missed any important metric to measure SEO success? How to use Trending Searches & Google Trends for SEO? Google rolled out an update for Android users in April 2016 for testing trending In Search Auto-Complete. 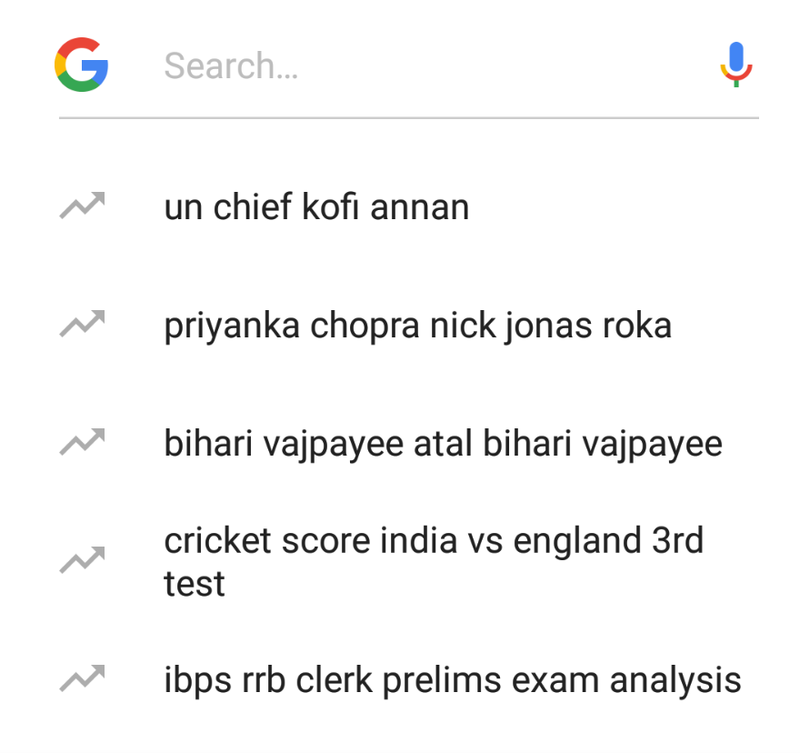 When the user clicks on the search bar Google shows the most trending searches happening on the search engine at that time. This should not be confused with the autocomplete feature. After few days of rolling out, this feature met with a lot of user complaints. A Google Support forum exploded with 500 posts from users who hated this new feature. Users were frustrated because it didn’t have any option to disable it that time. Later, in response to the complaints, Google rolled out an update with an option to disable this feature. The trending searches are displayed with an arrow on the left. On the 1st of September 2017, Google rolled out the same update for their search app on iOS. 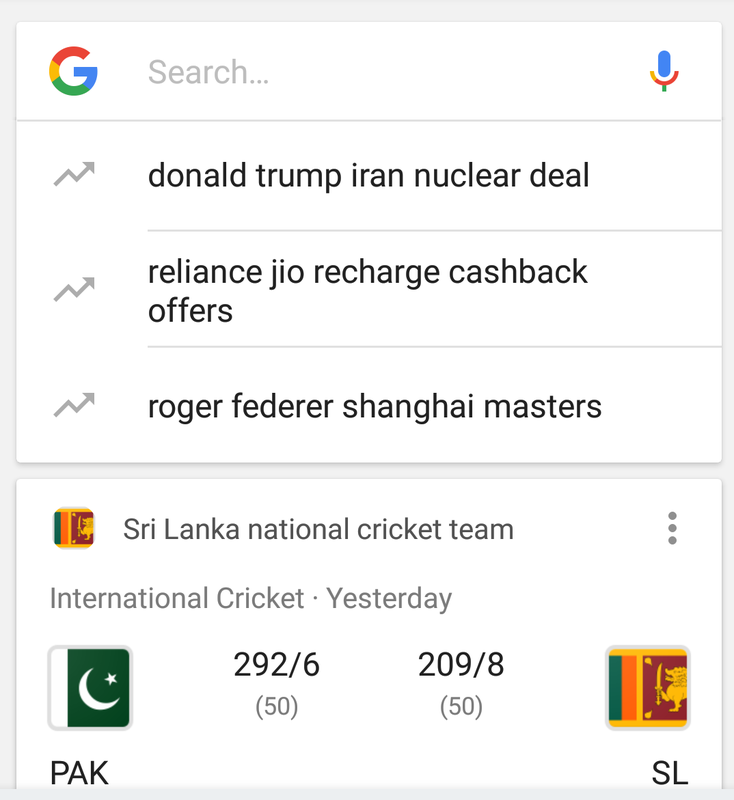 This Google Search App added Trending Search feature in their latest update, same as twitter trending. 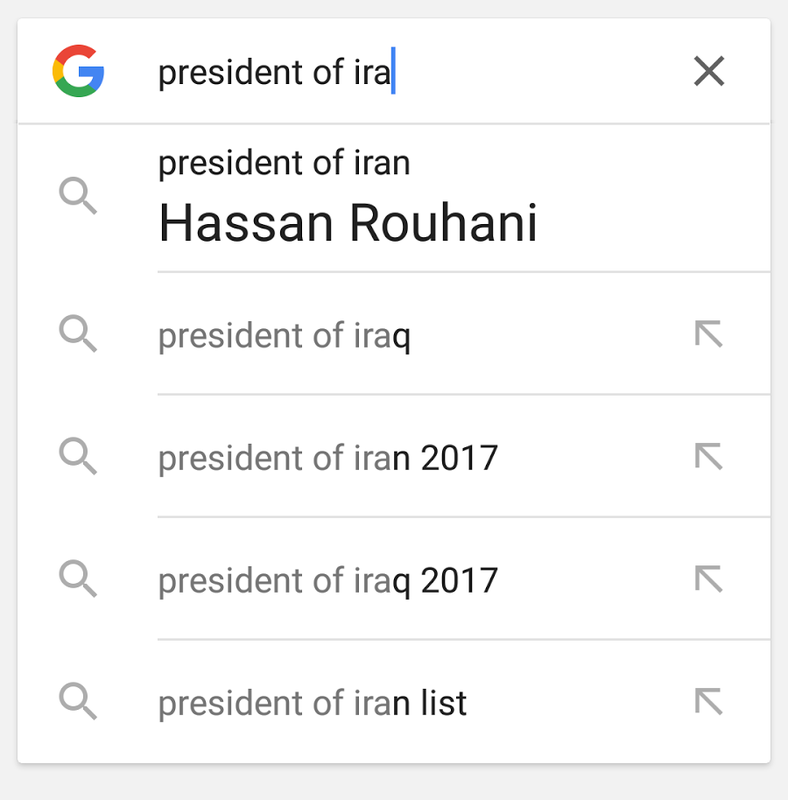 Amazingly it gives a direct answer to questions like “who is the president of iran” in the search bar itself. How Google Displays Trending Searches? According to Google’s Support forum, it fetches data from Google Trends. In your local area, it fetches the search terms which are trending (getting searched by the most user) and shows the data accordingly. At the top left, tap Menu Settings Autocomplete. Tap the switch to turn “Show trending stories” off or on. How Can SEO’s benefit from the Trending Searches? There are numerous ways in which you can benefit from the Google Trends data. Whenever the there’s something trending on Twitter or Google Trends, the information is not fully available on the web. The partial information which we see are news websites ranking on Top giving the information about the incident. If I’m a blogger and searching for some trending topic, I can take the 1st trending topic about UN Chief Kofi Annan. The benefit is your blog will start ranking for that topic without doing much SEO, because no other website has written about it. 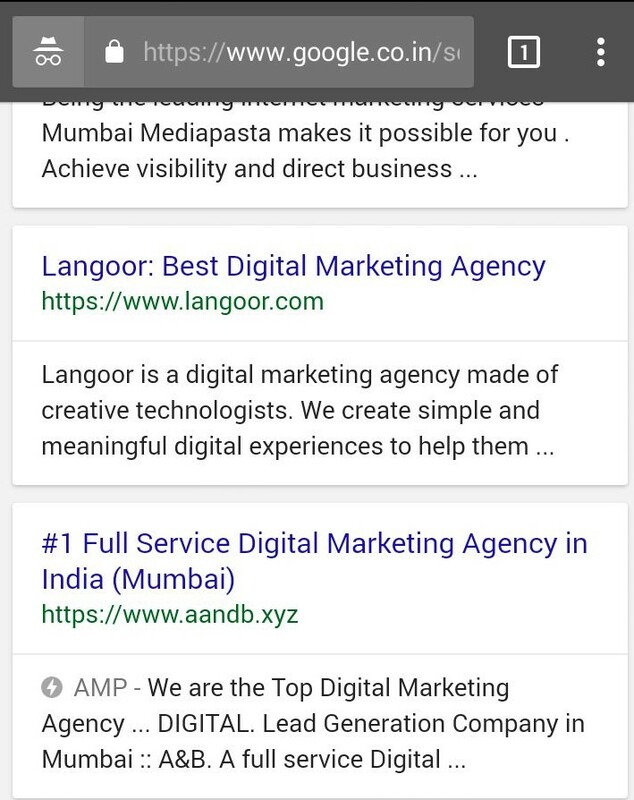 Here you are fulfilling the biggest ranking factor which is “user intent” and to fulfill this, Google has to show the best relevant result for that topic. Now because of no/less articles around that it starts pushing results which are relevant ignoring other ranking factors. And the amount of traffic you will get for the time it will be trending is huge. The data which you find in Google Trends is nowhere to be found, be it Keyword planner or any other tool. So it is very easy to find trending topics that happened a year ago and what was the keywords users were searching. For example, “Halloween” Topic trends every year during october so if you are planning to write a blog around it, Google Trends data would be really handy to know the search terms to actually use. The trending topic which you are writing on should be closely related to your niche. Try and select trending topics from your local area. The article you are writing should have enough data to explain the user about the topic. Add images, videos and make it long enough to fulfill the user intent. You might get a lot of traffic but that will probably not last long, because once the trend is over the searches are going to drop. Using Trending data from Google Trends and Google App can actually give you the next blog idea. You just have to keep looking for the trending topic in your niche and publish the blog ASAP. The other benefits on writing on trending topics is users will start to see your website as an influencer in the niche. So when the next time anything will happen, users will directly search on your website. Writing on Trending topics will build credibility and people might also start linking to your website. Let us know in the comments section if you have any better idea on using the Google Trends Tool? Why is my website not ranking on Top? Why there are so many complications in Google’s Algorithm? 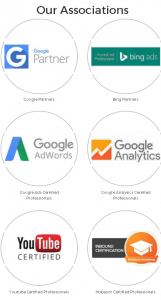 Why does Google always prefer big brands over the small ones? Why Google gives more importance to Ads than Organic results? Does Google Hate SEO community? The simplest answer to that question is No, and we are going to give you examples to prove the point. Everyone knows that SEO process takes time to show results, but the SEO’s expect results faster and that is a normal behaviour because at last, you expect some results. The real problem starts when people start to find shortcuts to rank high in Google and then pollutes the SERP with low content. Remember this: Google’s main aim is to keep their customers on it website for as much time as possible. And this is possible only if the search results are up to the mark and the content is delivered very fast. Google wants that anything that a user wants to search(information or product) should start from Google and that is why they come up with technologies to give out the best results. Shopping Ads, Knowledge Graph, featured snippet etc. can be seen in Google SERP on daily basis, which implies that they care about the user experience. If you want the answer to all the other questions, then grab a coffee and read till the end. For a better understanding how things happen in the big picture, we are going to explain everything from the scratch. Everyone knows about their history & how Google has evolved from being BackRub to the Biggest Tech company in the World. From 7% in 1999 to 89% in 2016. Google’s market share is more of a monopoly here. As more & more searches happen on Google their revenue shoots up accordingly. This clearly indicates how much Internet users trust Google for obtaining data online. 95% of a user interaction starts with search out of which 89% searches happens on Google. Sometimes, a common question that I come across is How does Google make money? Digital Examiner conducted a survey asking people about Google as a company. The first answer is a bit shocking, because 63% of the people do not know how Google makes money through search. Out of the $89 billions google makes, 90% of their revenues come through Google Ads and a significant amount of that money comes from Search Text Ads. Do you know how much of this revenue comes from Organic Search? The answer is zero. Google doesn’t earn a single dollar from any of the Organic Listings. 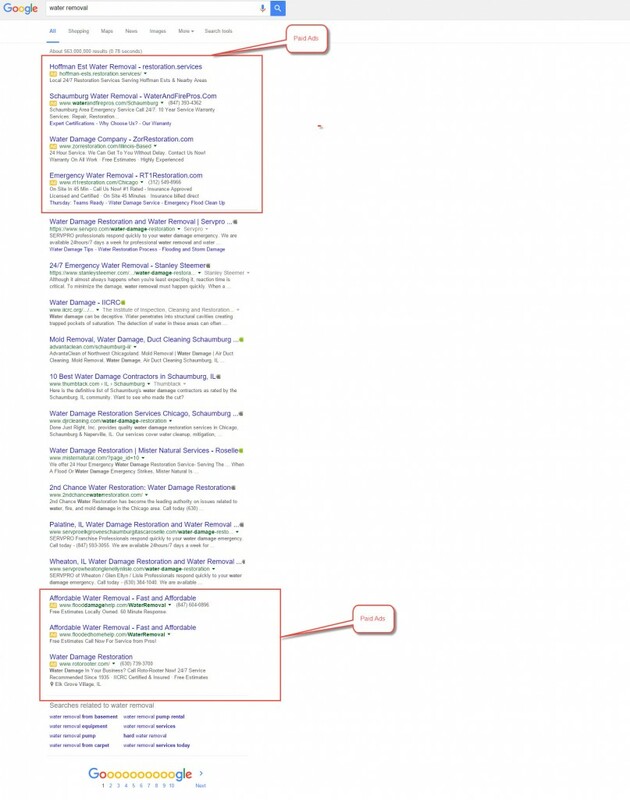 Does Organic Results matter to Google? Obviously Yes, Google is the biggest search engine in the world, in November 2016 Google updated their How Search Works page changing the number of pages Google has crawled from 30 trillion back in March 2013 to 130 trillion. Google hasn’t indexed all the pages but knows all of them. 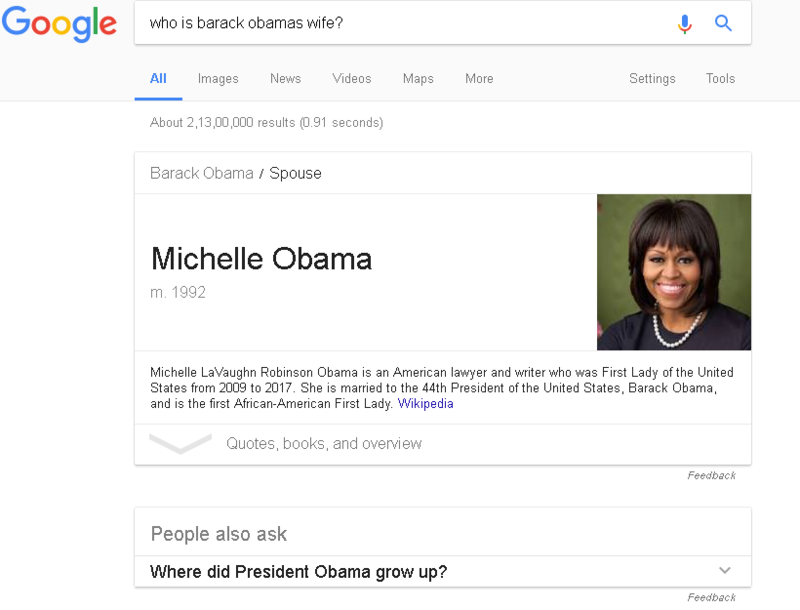 Imagine the amount of information Google has and by using this information Google algorithms creates the index accordingly. 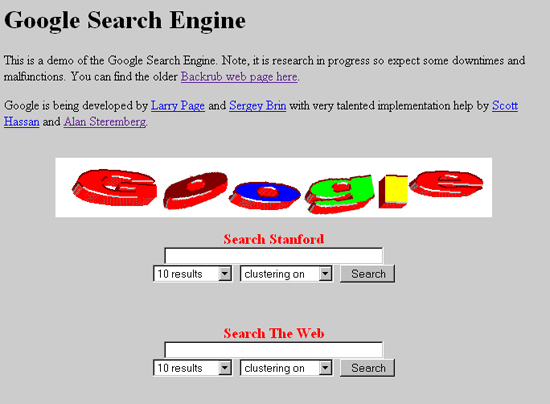 When Google first launched their website in 1997 their algorithm was simple & it displayed only the organic results. 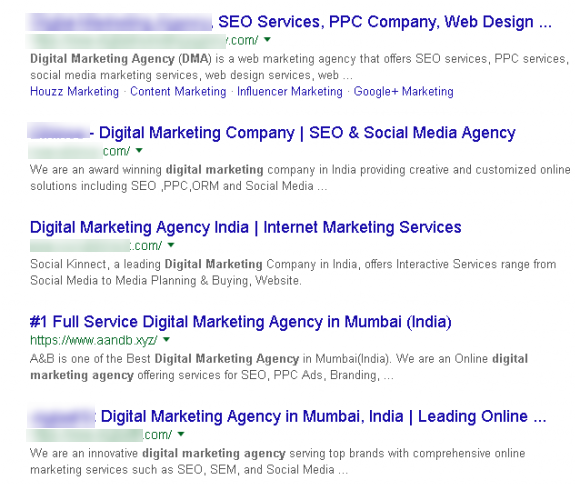 Till date, Google displays tons of Organic & Free results for all the queries. Google results are accurate and the amount of efforts & money Google puts to make the user experience better is immense. Google’s Regular algorithm updates to tackle spam. Till now we have seen, how much do the organic results matter to Google. There are always 2 sides of a coin. Good & Bad. Same way, SEO’s have tried to spam the web with irrelevant and low content results to rank fast in the search engines. But Google has sorted the way to tackle these types of spam websites. Google’s revenue is growing today, because of the relevant result it shows & the trust it has built on the Internet over time. If the user starts experiencing spammy and irrelevant result then they will lose the trust in Google and will find an alternative. If there’s a percent of the drop in Google’s traffic then it means the loss of millions of dollars. So, to tackle these kinds of spam, Google always keep their search engine algorithm updated with various technologies. Till date, there have been several major algorithm updates that have improved the search results by providing more personalised and relevant results for the query. Google has a dedicated web spam team to tackle spam content and penalise those websites. 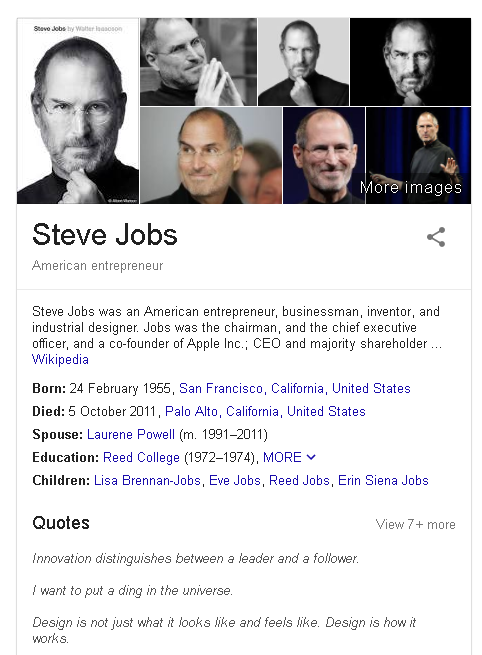 Coming back to our original question: Does Google hates SEO? As we have said No, Google doesn’t hate SEO but they hate the spammers who try to take advantage by using black hat SEO techniques to get rankings in Google. 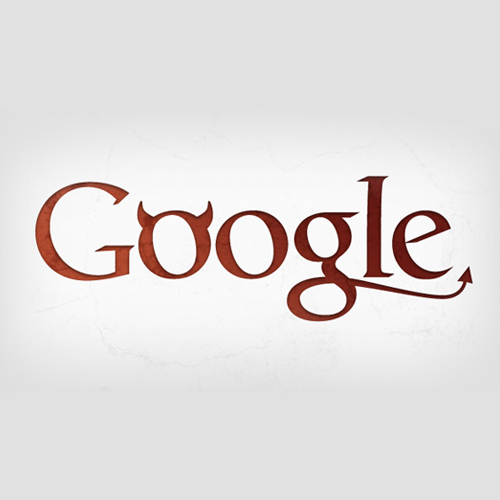 On June 15, 2006, Google was the first company to have been added as a word in the Oxford Dictionary. Just imagine the amount of trust Google holds in the eyes of the world. It has become a habit to say “Just Google it” for a query instead of saying “search it on the internet”. To maintain the trust they have to tackle with all kinds of spam attacks that happen on them. You might have a question, then why does it take forever to rank in Google? Because Google just can’t trust any other websites that have the targeted keywords in the meta tags & content. It takes time to build trust & authority in the eye of Google. If you will do your regular SEO, your website is surely going to rank. Once the website starts to feature on the 1st page, you just need to maintain it. Then why is Google pushing the Organic results down? Google SERP after February 2016 update: After the update the SERP changed completely. Ads covered the 1st full Fold(first scroll) and covered the top 4 critical positions. The ads snippet on the right hand side completely vanished and got replaced with knowledge graph(if you search about a company/person). Ads also started to appear in the bottom 3 positions. Why is Organic CTR going down? A recent Organic CTR study conducted by Internet Marketing Ninjas states that 30% of the Google Search results on the 1st & 2nd page don’t get clicks. Thats shocking. Impressions and clicks of 1-20 SERP. The reason for this drop? Google gives answers to some of the questions in form of featured snippets, knowledge graphs, shopping display ads etc. This SERP feature is killing SEO clicks on the website, as users gets the answer directly by Google. 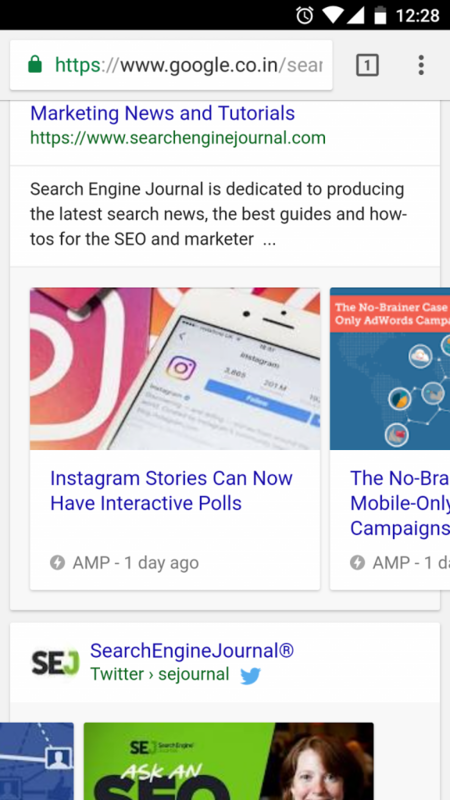 When this update was rolled out the SEO community panicked thinking that it will bring down the clicks, as it is acquiring the crucial top 4 positions of the SERP. 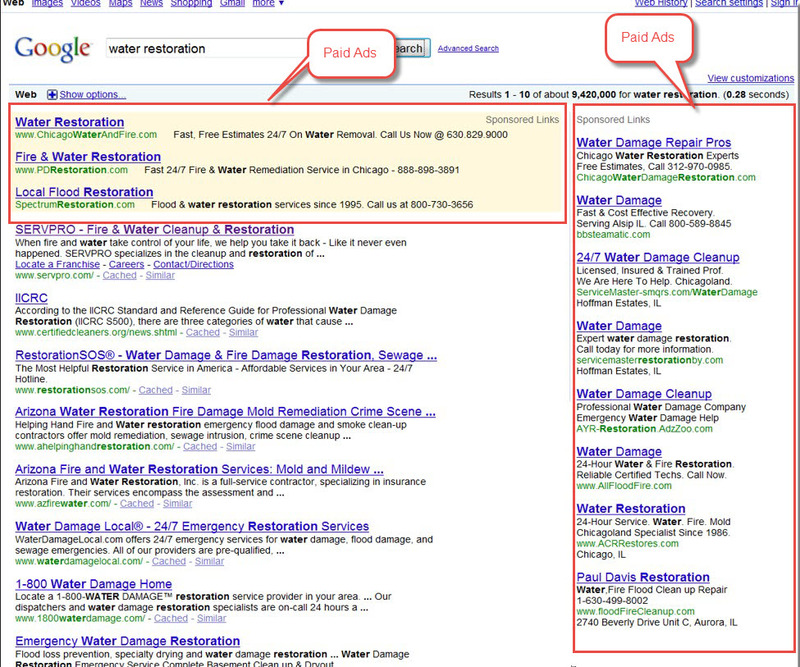 Though the CTR of PPC went a bit high because of the addition of 4th ad slot in SERP. 4th position ads slot had a change of 18% in CTR, because this placement is closest to the organic result. Study shows that the Click Through Rates(CTR) of Organic results are still higher than PPC. This actually implies that users are getting smarter day by day and can easily differentiate between a Text Ad and organic result, no matter how hard Google tries to push Ads. Whether Google hates SEO or not, it doesn’t matter, but remember one thing, Google search is nothing without the organic results. Yes, Google has started pushing more ads in the top positions, but that has not dropped the clicks of organic results. One thing Google wants to show relevant results as much as possible, and that is why for some keywords Google directly answers the query through a snippet.